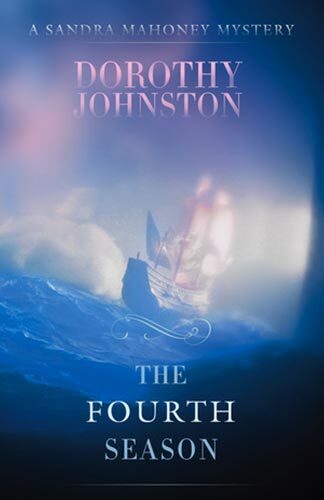 Book Synopsis: The Fourth Season is the fourth book in Dorothy Johnston’s mystery quartet featuring her private investigator, Sandra Mahoney. Other regular characters in the series are Mahoney’s partner (and father of her younger child, a six year old girl), Ivan Semyonov, and her friend Detective Sergeant Brook of the Federal Police. The book is set in Canberra and politics inevitably play a part in the story. The central mystery involves the murder of a young environmental activist, Laila Fanshaw. Mahoney’s already complicated personal life – she also has a teenage son from a previous relationship – is thrown into further turmoil when one of her friends in the public service wants to hire her to help clear his name as a suspect in the Fanshaw murder. Worse still, it emerges that her partner Ivan had not only been attracted to (and possibly involved with) the murder victim but he has no alibi for the time of the crime. Mahoney has to juggle the investigation of both the Fanshaw murder and a second murder as well as cope with Ivan’s situation, his obvious distress about the woman’s death and the effect all this is having on the two children. Mahoney herself also has ambivalent personal feelings about Brook who is opposed to her taking on the case. In terms of unravelling the mystery Mahoney has to come to grips with environmental policy conflicts which provide an interesting and well-researched background. The style of this book is not at all typical of mysteries in that it contains reflections on many aspects of life and relationships. In addition, as a narrator, Mahoney is a particularly introspective person and we are kept constantly informed about how she is feeling about all the conflicts and demands in her life – is she jealous of the dead woman, does she trust Ivan, are the two children coping, should she give up the case, what are her feelings for Brook? Her emotions are as much a matter of concern as the progress of the case. The case itself exposes a complex situation of secrets and lies and while it could not be described as gripping the resolution of the mystery is quite satisfying and the book is well written. I suspect individual readers will have differing opinions about including the minutiae of Mahoney’s emotional reactions but this undoubtedly makes the book very different from most mystery novels.